I used a variety of manufacturers/products on this layout. It was fun to play:-). 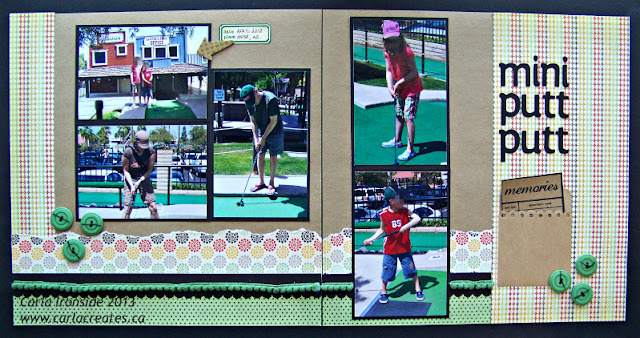 Ah, mini golf is always so much fun! Great layout! I love your layout Carla. So much fun.